It’s hard to believe tax time is almost here. Are you finished or just getting started? Do you know where all of your receipts and documentation are? I believe the one thing that helps me the most is to have a designated “tax center” in my house. Whether it’s in your office, the kitchen, etc. I believe that is so important. 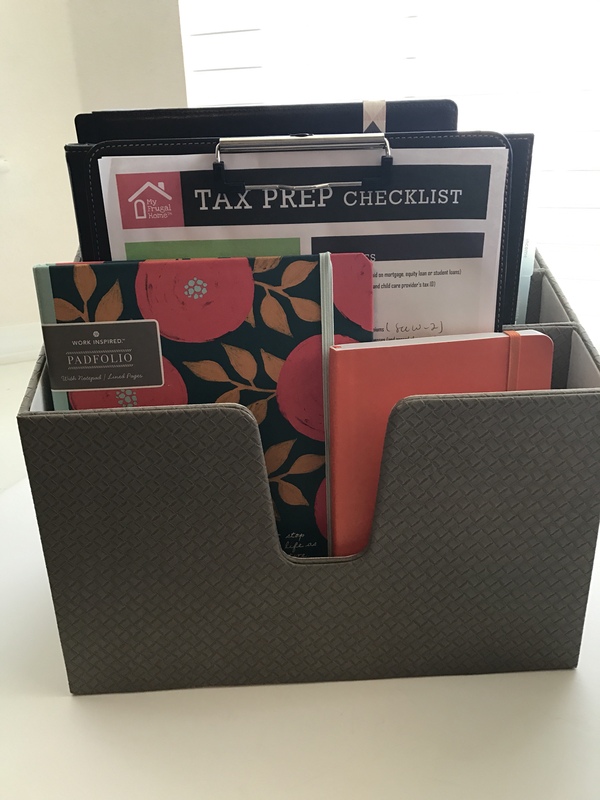 In this post I want to walk you through my tax center. 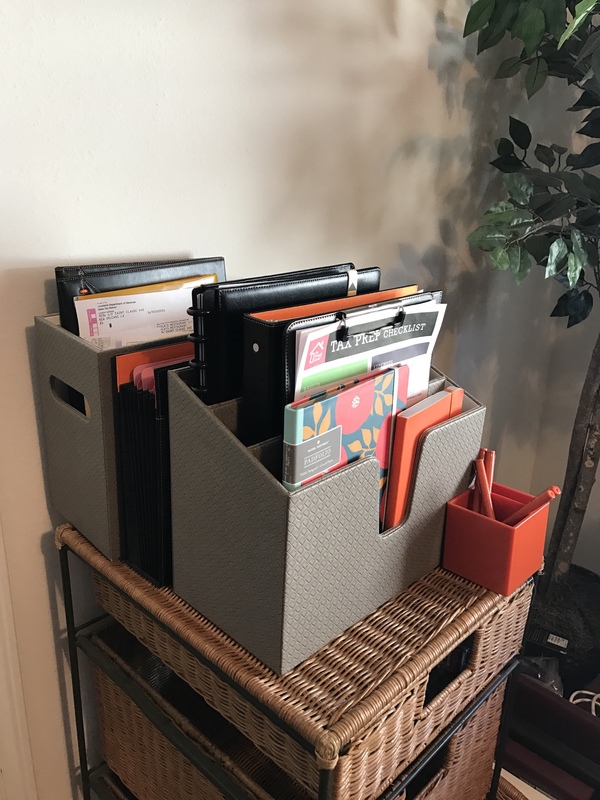 Hopefully, it will provide you with some organizing tips. 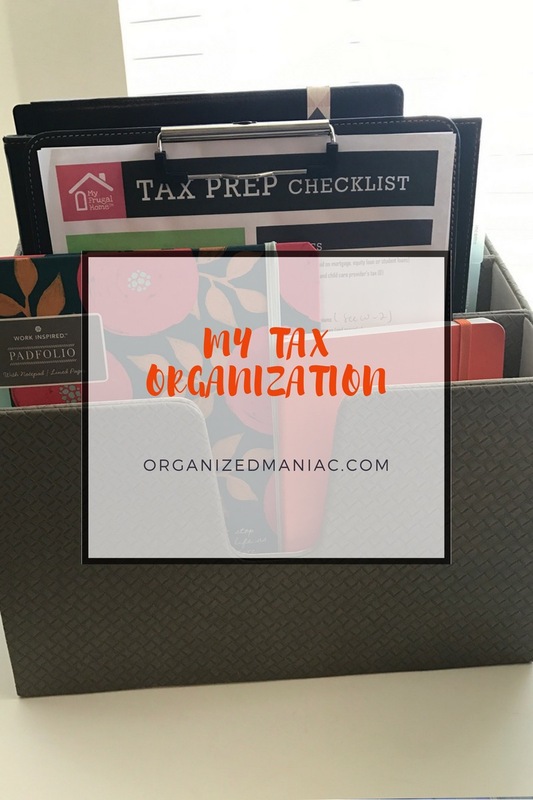 I would also love to hear from you regarding how you stay organized this time of year!! My tax center is located in a corner in my office. 1. 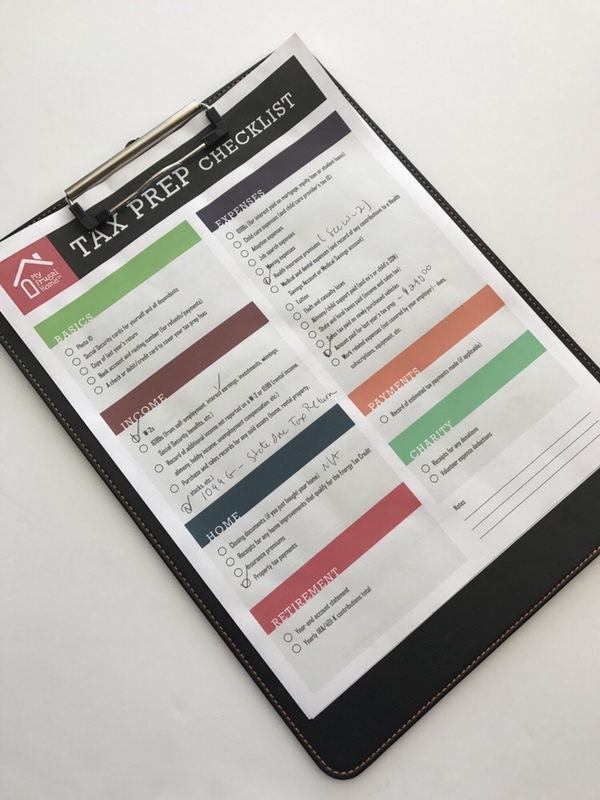 Tax Checklist—I love this little checklist. I found it at My Frugal Home. 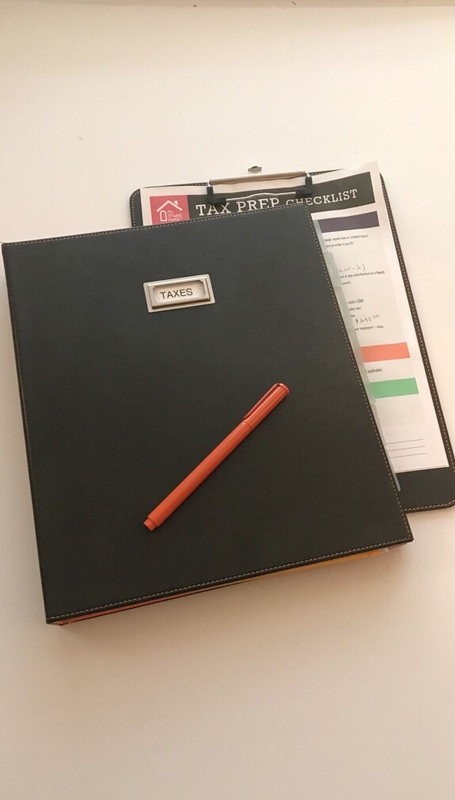 Here’s the link if you want to download one for yourself: Tax Prep Checklist. She has a lot of useful printables on her website. As the tax items come in the mail or I file them away, I utilize the checklist to ensure that I have everything. 2. Notebook– My notebook is a discbound notebook from Staples. I keep all my tax notes in here, along with articles, etc. and take it with me to all our meetings with our tax accountant. 3. And finally, my Tax Binder. My tax binder is from Office Depot. I’ve had the inserts for years. 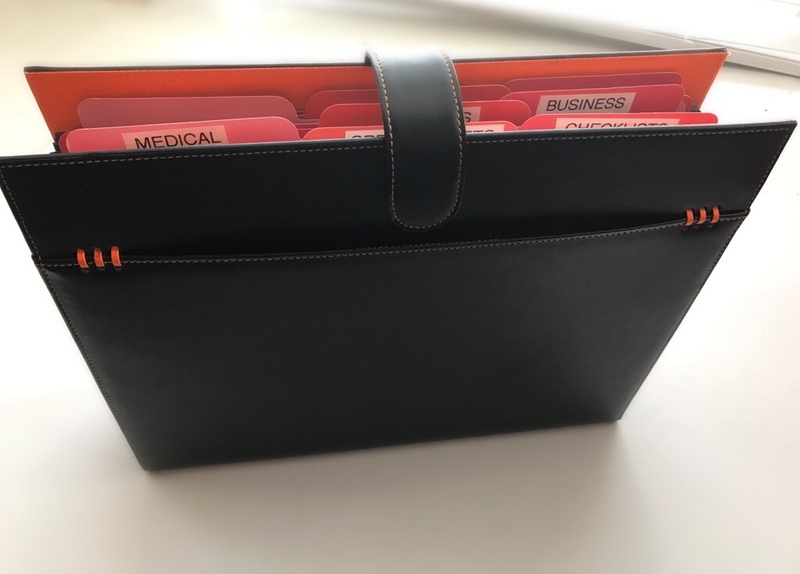 Each insert has a tabbed labeled category and a pocket to store items in that category. 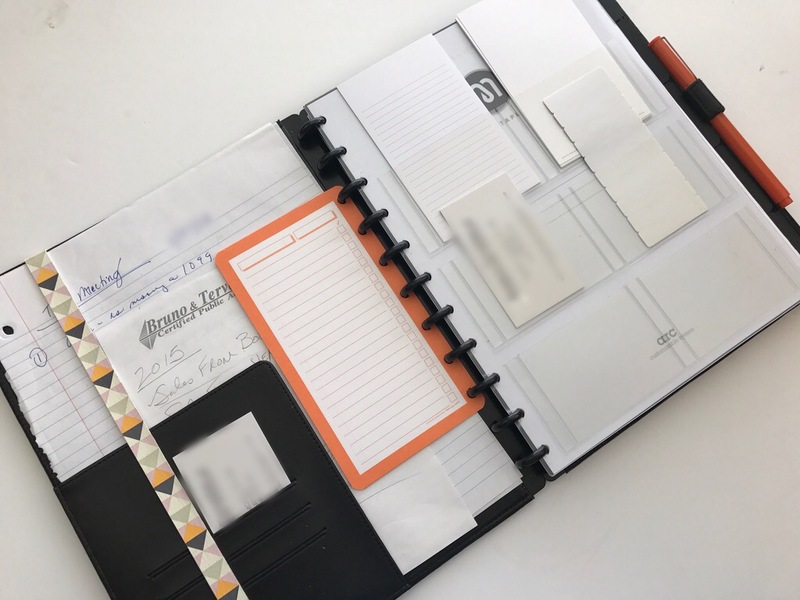 You can easily find inserts like these, with the tab and the pocket, at any office supply store. The categories are file center, income, investments, business, contributions, retirement, dependents, and other. 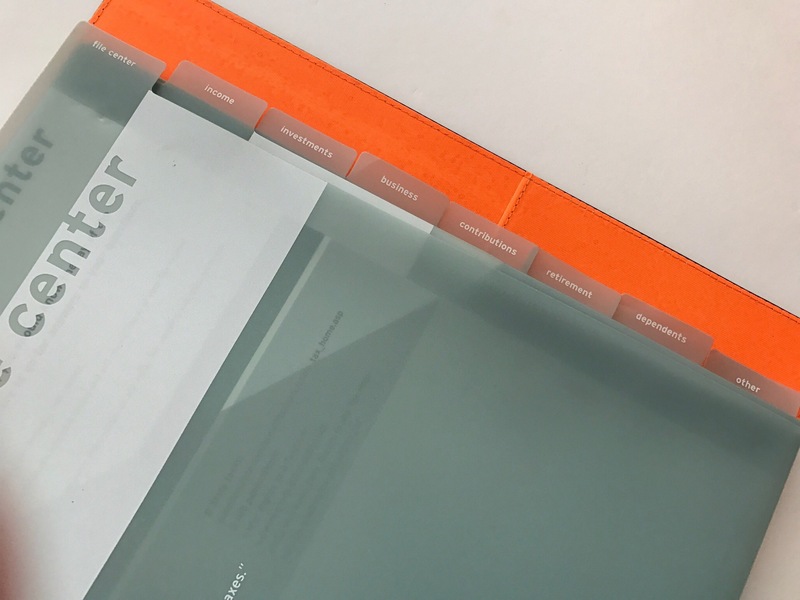 Each insert includes examples of what should be stored there. 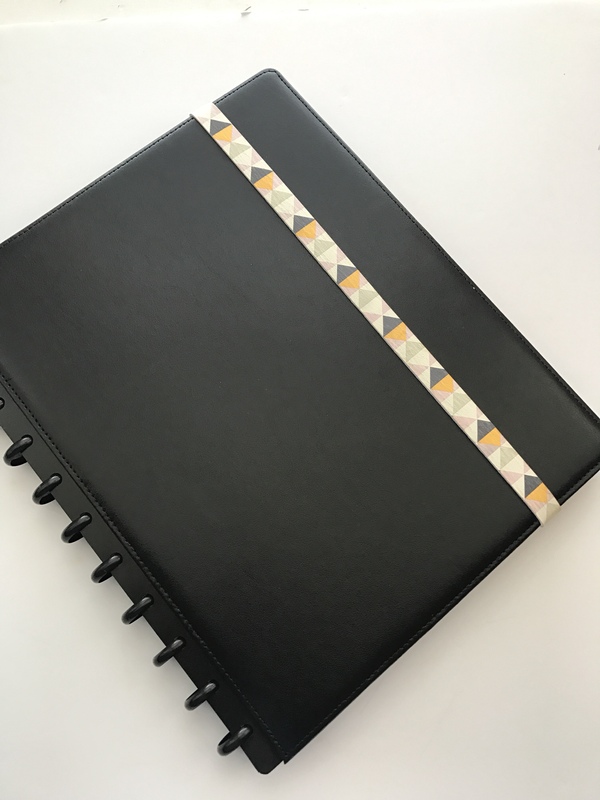 Secondly, I have this great accordion file-also from Office Depot. It’s very light and portable. 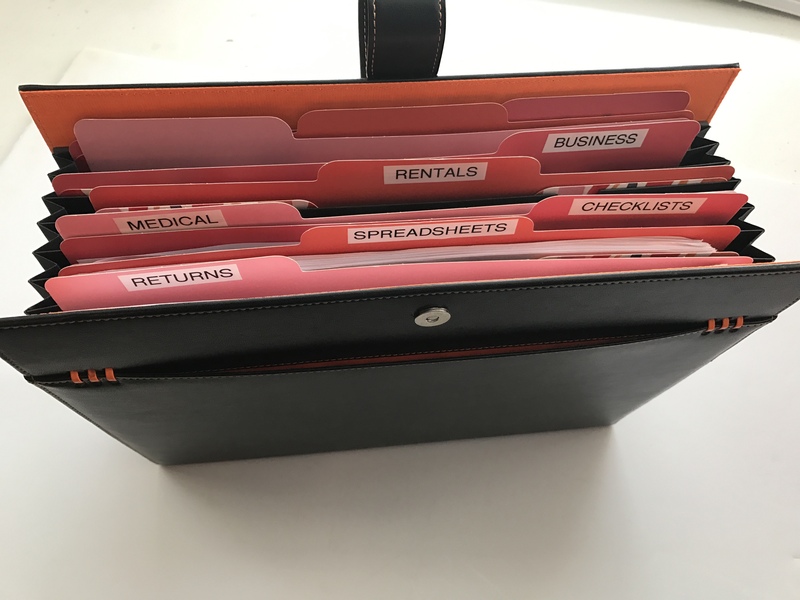 I typically collect the medical, business, and rental receipts in these files while I’m using them to compile our yearly excel spreadsheets for these items. The spreadsheets are then provided to our tax accountant during tax season. Even though I am a CPA, my specialty isn’t taxes and I don’t like them, and yes I hire someone to do our taxes!!! It’s worth the cost and really not that expensive at all. He keeps up with all the latest tax laws, maintains all our depreciation records and itemized deductions, and compiles and files our federal and state tax returns. But I still have to provide him with all the data—and just keeping up with all of that is a lot. And it doesn’t help that my husband is always late giving me his stuff. If you have a lot of itemized deductions, own your own business, or have rental property—it’s something you may want to look into. 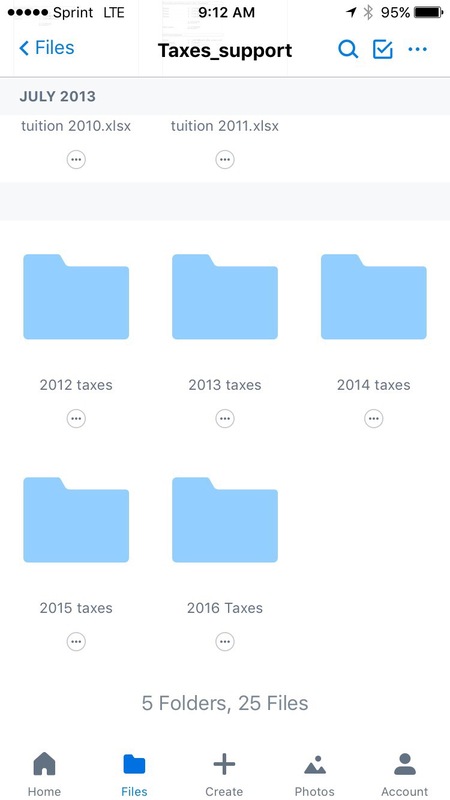 And finally, after everything is over, I scan all my tax support for that year and save it in my Dropbox folder.